Christopher Hafner, L.Ac. is a national board certified, state-licensed practitioner of Oriental medicine with 30 years of experience in private practice. Chris specializes in stress reduction, mindfulness meditation practices and lifestyle counseling based on the principles of Traditional Chinese Medicine. 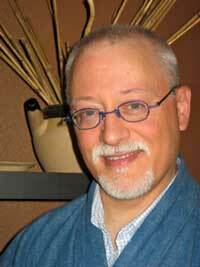 He also has extensive experience in the fields of alternative medicine education and research, and has been recognized by the Minnesota College of Acupuncture and Oriental Medicine at Northwestern Health Sciences University, and by the University of Minnesota for his contributions to the field. Christopher is currently a community faculty member of the Center for Spirituality and Healing at the University of Minnesota where he teaches an introductory course on Traditional Chinese Medicine. Christopher is also a long time practitioner of Buddhist meditation and is an ordained Soto Zen Buddhist priest. His primary interest and focus in clinic practice is in helping people learn how to develop greater mindfulness, peace and joy in their lives and so enhance their own natural healing response and well being. For more information on Christopher and his holistic health center located Minneapolis, visit the Cloud River website.